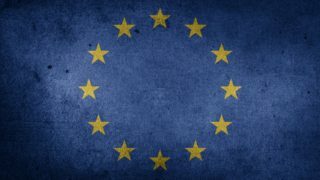 Poland and Hungary – On September 4, 2017, the Carnegie Foundation published an article entitled “Defending EU Values ​​in Poland an Hungary“, in which the editors accuse Warsaw and Budapest of posing a threat to the future of the European Union. Two days later, on September 6, 2017, Hungary and Slovakia saw their appeal to the Court of Justice of the European Union (CJEU) concerning the policy of relocation of migrants by quotas rejected. All this while Poland and Hungary are subject to sanctions procedures, currently in their first stage, emanating respectively from the European Commission and the European Parliament. The point of no return seems therefore quite close. In any case, this is suggested by Heather Grabbe and Stefan Lehne, the two researchers behind the article in the Carnegie Foundation. “More than the Brexit, authoritarian tendencies in Hungary and Poland threaten the EU because they undermine the legal foundations of the Union. Other EU governments must defend the rule of law more actively. ” This is how starts the summary of the article of the Carnegie Foundation. The authors are firmly uncompromising towards the Hungarian and Polish governments and are sometimes not less tender with other EU member states or actors accused of procrastinating with regard to Budapest and Warsaw . Much more than an attempt to make a statement, the drafters condemned and multiplied the injunctions. In their conclusion, they warned the two states that “if they do not step back, the price will be high”. 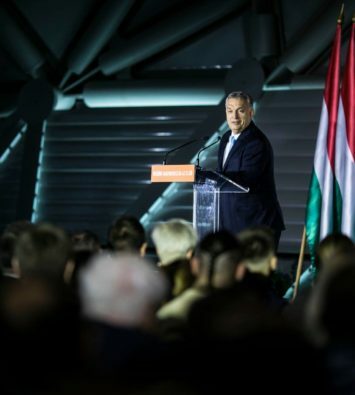 The Carnegie Foundation thus openly interferes in the political game and is counting on its speech to be taken up by “European Heads of State and Government to convince Budapest and Warsaw to change their behavior”. Launched in 1910 by American industrialist Andrew Carnegie, the eponymous foundation originated in the advice of his friends Elihu Root (former Secretary of War of William McKinley and former Secretary of State of Theodore Roosevelt) and Nicholas M. Butler (Rector of Columbia University). Nobel Peace Prize winner in 1912, Root was one of the initiators of the creation of the Hague Court, of which Carnegie financed the construction. McKinley is known to have set off the war against Spain for allegedly freeing Cuba and the Philippines. Roosevelt (Nobel Peace Prize in 1906) annexed Panama and invaded Santo Domingo and Honduras. The Foundation was born in this context of American struggle against European colonization. Once his shares have been sold to the banker JP Morgan, Andrew Carnegie died in 1919, while Root, the director of the Foundation, created in parallel the Foreign Relations Council (CFR), then abundantly funded by the Foundation, which is still nowadays eminently important in the determination of US foreign policy. Butler took over the head of the Carnegie Foundation and directed it until 1946, before giving way to the Dulles brothers. John Foster Dulles (President of the National Council of Churches and Ambassador to the United Nations, future Secretary of State) took the reins of the Carnegie Foundation, while his brother Allen (former head of the OSS and future CIA director) became President of the CFR. The two brothers were strongly supported by the Rockefeller Foundation. John Foster Dulles became its president in 1948 and was elected “man of the year” by Time Magazine in 1954. From 1950 to 1971, the Foundation was chaired by Joseph E. Johnson, former Director of the Secretary of Defense for International Security Affairs. Thomas L. Hugues (1971-1991) and Morton I. Abramowitz (1991-1997), both former intelligence directors in the State Department, provided the relay. Abramowitz appointed Robert Carswell (former Navy Intelligence Officer and chief negotiator during the hostage crisis in Iran in 1979-1981) as Director. The Foundation bought the magazine Foreign Policy created by Samuel Huntington and settled in Washington. The Arms Control Association and the German Marshall Fund of the United States were funded by the Federal Republic of Germany under the aegis of the Carnegie Foundation in 1971 and 1972. In 1993 the Carnegie Foundation opened offices in Moscow and advised Boris Yeltsin through Prime Minister Yegor Gaidar, known for his adherence to forced march privatizations and other shock therapies and his closeness to the Chicago school. The Carnegie Foundation is also setting up the Group of 50, a conglomerate of multinationals with activities in Latin America. This group is at the origin of the project of the Free Trade Area of ​​the Americas and was led by Moises Naim, former Venezuelan Minister of Commerce and Industry before the Chavista period and still today, main editorialist for Foreign Policy. In 1997, the presidency of the Carnegie Foundation was run by Jessica T. Mathews (former Director of Global Affairs at the National Security Council). Under her presidency, William H. Donaldson (Bush family intimate and future chair of the Securities and Exchange Commission-SEC, the US federal organization of regulation and financial market regulator) has been appointed director. The Mathews-Donaldson duo pursued the same policy of influence with Beijing as the one established in Moscow by Abramowitz in 1993. To this effect bridges were thrown between the Carnegie Foundation and the Institute of Strategic Studies of the Party School in Beijing and the Academy of Social Sciences in Shanghai, while a branch of the Foundation has been established within the Peking University of Tsinghua. It is also during Mathews’ term that the offices of Beirut (2006) and Brussels (2007), as well as the offices of Kazakhstan (2011) have been opened. The ambition of this period was to make the Carnegie Foundation the world’s first thing-thank. The Foundation then celebrated its centenary and published for the occasion a brochure entitled “100 years of Impact” calling itself a “global think thank”. In this booklet, the Foundation says it has successfully maintained its non-partisan stance and states that its experts are responsible for addressing the problems of non-proliferation, global security, terrorism, development in Russia, Eurasia, China and the Middle East, issues related to the global economy, climate change and energy scarcity, but also to the rise of emerging powers and non-state actors. In the part devoted to its Moscow office, the Foundation describes its presence as independent and its analyzes as objective. Regarding its presence in Brussels, the Foundation mentions that it “aims to encourage new ways of thinking about the enormous international challenges that shape Europe’s role in the world”. Since 2015, the Carnegie Foundation has been presided over by William Joseph Burns (former Secretary of State in the Obama era), a personality that the US magazine The Atlantic describes as “the secret diplomatic weapon of the White House“. The persons who have presided over or directed the Carnegie International Peace Foundation at any level are, without exception, all members of the US federal administration, in that they held the highest positions in the field of intelligence (military or civilian), economic and diplomatic affairs. Unless if the successive presidents of the Canergie Foundation have absolutely been able to cut all their links with the federal administration to devote themselves to the production of independent and objective studies, this organization is a tool of the foreign policy of the United States, “A secret diplomatic weapon,” as its current president is nicknamed. Until the beginning of the Cold War, the key role played by the Carnegie Foundation was never concealed. The International Peace Foundation was then openly a component and an actor in US diplomacy. In the aftermath of World War I, five members of the Foundation accompanied President Woodrow Wilson on USS George Washington on his Atlantic crossing to go to France and conduct the peace negotiations. Nicholas Murray Butler, the Foundation’s second president, played a major role with Secretary of State Franck Billings Kellogg in the signing of the Kellogg-Briand Pact and got awarded with the Nobel Peace Prize in 1931. Initially, members of the Foundation were leading advisers to the most important American diplomats. After the Second World War, with the emergence of two poles and the upcoming Cold War, the Carnegie Foundation got at the heart of a scandal involving its first post-war president Alger Hiss. The latter, then in the race with Richard Nixon to obtain the position of Secretary of State, was then accused by the repentant communist Whittaker Chambers of being a Soviet spy. Some journalists did later discuss Nixon’s pressure on Chambers to dismiss Hiss, which is still debated to this day. In any case, the Carnegie Foundation was then present at the edge of the US state meetings, where strategies to implement US interests were decided. As a result of this Hiss interlude, the Foundation started to be chaired by civilian and military intelligence leaders until 1997. While openly affirming its role in defending interests under its presidents Root and Butler, from 1949-1950 the Fundation got closely linked to the federal services, which explains why it was necessary to reconvert it into a so-called center of research and analysis. Carnegie set up a program of international law to produce analyzes on the evolution of international organizations, the technological revolution facilitating the production of new military tools, communist expansion, the emergence of new independent states and new types of economic activities, including multinationals and intergovernmental organizations. The Foundation is thus a weapon helping the United States in their struggle against the Soviet Union. 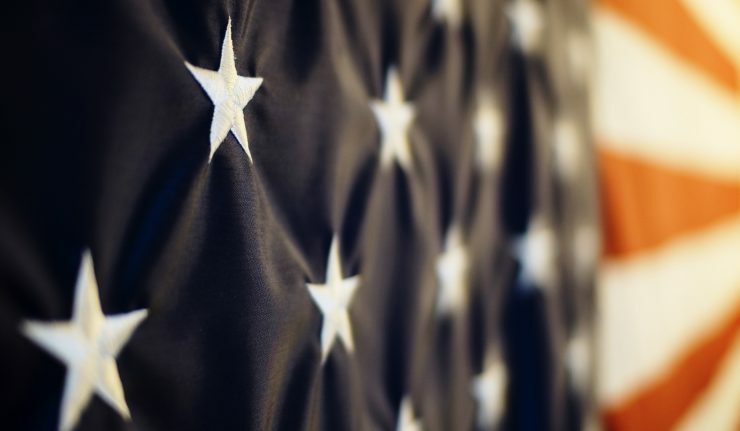 Ronald Reagan’s famous speech to the British Parliament on June 8, 1982, in which the Union is described as “Empire of Evil”, marks a turning point in the US strategy towards the Soviet bloc. This turn had consequences, still valid today, on the financing of the Carnegie Foundation. In proposing support for dissidents in the East and elsewhere, Reagan argued that it is a question of “foster the infrastructure of democracy, the system of a free press, unions, political parties, universities, which allows a people to choose their own way to develop their own culture, to reconcile their own differences through peaceful means.”. A bi-partisan commission proposed the Congress to create a National Endowment for Democracy (NED), which has been established in November 1983 and had immediate funding. The NED uses its budget, voted and allocated annually by Congress, to operate four structures: the American Center for International Labor Solidarity (ACILS, managed by the AFL-CIO union), the Center for International Private Enterprise ( the CIPE, managed by the US Chamber of Commerce), the International Republican Institute (run by the Republican Party) and the National Democratic Institute for International Affairs (run by the Democratic Party). The functioning of the NED is based on social diversity, civil society and political pluralism, financed by the American people through Congress, and working towards a universal ideal. However, the chronological reconstruction of the facts reveals a completely different reality. Before Reagan’s statement in London, the United States was shaken by the findings of several parliamentary inquiries into the CIA’s actions. These investigations revealed that the CIA went so far as to foment coups d’état to conquer markets, particularly in Latin America. Congress decided to ban these actions. It is due to this backdrop that the bi-partisan commission was set up by the National Security Council. The commission is chaired by the United States Special Representative for Trade, which does not corroborate Ronald Reagan’s benevolent intentions affirmed in London in November 1983. Today, it is established that the well-intentioned speech of Ronald Reagan had the sole purpose of masking another reality which consisted in a reorganization, notably financial, of the external actions of the United States. The “National Security Decision Directive 77” dated 14 January 1983 and declassified twenty years later proves it. This document concerns the internal organization of the National Security Council, one of whose members would orchestrate the operation of the future NED. The Carnegie Foundation benefited, in two ways, from this functional reconfiguration of American foreign policy. First, the financial windfall obtained annually by the NED, through Congress, irrigates no fewer than 6,000 non-governmental organizations, including the Carnegie Foundation. According to NED’s current president, Carl Gersham, the role of the NED is “just putting some water on the plants.” Newspapers, parties, unions, organizations, women’s associations, etc. are financed by the NED. Officially the annual amount managed by the NED is $ 60 million but a lot of money goes through the NED, especially when it comes from the International Aid Agency (USAID). It is impossible to quantify exactly the money managed by the NED. There are, however, some indications that one can arrive at an order of magnitude. The European project, which is equivalent to the fully-publicized European Instrument for Democracy and Human Rights (EIDHR), is EUR 7 billion annually, while the office is only a supplement to NED operations. The current president of the NED acknowledges that “this figure of 60 million dollars is misleading because this money goes in 80 countries”. This architecture is part of a strategy of “non-governmental” budgets that allows not to violate the national sovereignty of other states while enjoining them to change their policy. Second, the relationship between the NED and the Carnegie Foundation can not be closer. The one who was one of the most influential presidents of Carnegie, Morton I. Abramowitz, was at the same time administrator of the NED. The current president of the Carnegie Foundation, former Ambassador to Russia and to Jordan and former Secretary of State, is presented on the NED website as one of its leading experts. The Carnegie Foundation is highly intertwined with the allegedly non-governmental NED scheme. According to Ron Paul, a — Libertarian — Republican senator, “it would be time to put an end to this relic of the Cold War, which only stirs anti-Americanism.” The NED is the nerve center of a vast network of organizations charged with defending US interests. In its 25 years of existence, it has participated in the structuring and financing of the main non-communist unions. In France, Irving Brown, leader of the American Center for International Labor Solidarity (ACILS) from 1948 to 1989, union branch of the NED from 1983, boasted at the end of his life to have cheerfully manipulated the French union Force Ouvrière (FO). FO is still considered today as a yellow and employer union by many miners of Lorraine forced into retirement in the early 2000s. Brown says none the less about the student union UNI, of which Sarkozy (President of the French republic, 2007-2012) and Fillon (former leader of Les Républicains and unfortunate candidate to the 2017 French presidential election) were members. In addition, he prides himself on his very personal relations with MM. Cambadélis (former President of the French Socialist party) and Jospin (French Socialist PM, 1997-2002), Socialist leaders of Trotskyist extraction. Irving Brown, who is based at 10 rue la Paix in Paris, is responsible for financing the struggle against the Greek Communists or against Salvador Allende in Chile. During the war in Algeria, his project was to make Algeria pass under American control. In 1984, he organized the world demonstrations against the tour of Mr. Gorbachev and thus helped to break the renewed vigor of the Soviet Union. In 1985, he declared that the Soviet Union would soon collapse. In 1988, Ronald Reagan decorated him with the Presidential Medal of Freedom. The Carnegie Foundation is one of hundreds of organizations serving as an operational tool for the NED. These organizations include Transparency International (TI), founded by Peter Eigen in 1993, a German lawyer who worked for 25 years at the World Bank and then a consultant at the Ford Foundation and an expert at the Carnegie Foundation. TI’s historical leaders include US military intelligence officer Micheal J. Hershman, a former CIPE administrator, then responsible for FBI recruitment and administrator of Fairfax Group private intelligence agency, former number two man of USAID and leader of the anti-terrorist unit of the United States Chamber of Commerce, and Frank Vogt, formerly at the World Bank and close to Paul Wolfowitz. The latter left his name to the eponymous doctrine giving the United States the role of “world’s policeman”. Wolfowitz is the author of the Defense Policy Guidance, a classified document that extracts revealed by the New York Times and the Washington Post showed to be a theorization of US supremacy after the first Gulf War. TI has for some years the Hungarian government in its focus. In 2008, TI had denounced the corruption of the Venezuelan state oil company, based on information subsequently revealed to have been falsified. At that time, the CIPE correspondent in Venezuela was none other than Pedro Carmona, the author of the putsch against Hugo Chavez in 2002. TI is financed by BP-Amoco, Exxon, Rio Tinto and Shell. The George Soros Open Society is also one of these organizations. 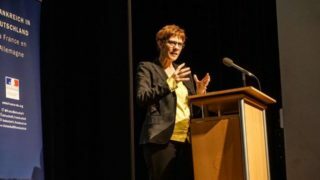 Heather Grabbe, one of the two editors of the article condemning Hungary and Poland, is the director of the European branch of the Open Society. Grabbe worked from 2004 to 2009 with the European Commissioner for Enlargement and European Neighbourhood Policy Olli Rehn. In a televised interview with an American journalist, George Soros said that the only purpose of his activities was to make money, which is why he could not be interested in the social consequences of his actions. He acknowledged that this was only speculation and perfectly amoral. In the same interview, he confessed to have participated with his father, when he was only 13-14 years old, in confiscation of property of Jewish owners in Budapest under the German occupation, feeling no guilt, declaring that , if he had not participated in this plundering, someone else would have done it in his place, pushing the comparison to the functioning of an economic market where one actor can at any time replace another, before to conclude that guilt is not a feeling that can be experienced in an amoral activity like his. Still in this exchange, George Soros explains that he will always seek to establish its financial activities in areas where regulations are almost absent. Its main corporation, the Quantum Fund, has since 1969 moved from tax havens to tax havens. On December 20, 2002, Soros was fined 2.2 million euros by the Correctional Tribunal of Paris for insider trading during the stock market raid against the French bank Société Générale in 1988. He is known to have attacked the pound sterling in September 1992, thus earning $ 1 billion to the detriment of the British taxpayer. He also benefited from the Thai crisis of 1997 and more broadly from the Asian crisis, but suffered heavy losses during the crash of 1987, the Russian crisis of 1998 and the bursting of the dot-com bubble. Through the companies Harken Energy and Spectrum 7, George Soros helped clean up the Bush family’s debts in 1990. In an interview with The Nation asking him to explain his gesture, Soros said he did it in order to “buy a political influence”. This earned him an entrance fee to the Carlyle Group, then the largest portfolio management company in the world, including the Bush and Bin Laden families’ patrimony. This group is also one of the 10 largest suppliers of the Pentagon, once all of its daughter companies are taken into account. It is at the Carlyle Group that George Soros befriended the Russian oligarch Michail Khodorkovsky. In 1994, Soros created the International Crisis Group, of which the board of directors would include former national security advisers Richard Allen and Zbiegniew Brzezinski, as well as Simone Veil, presiding over the Shoah memorial and probably ignoring everything aboutn the youth of Soros in Budapest, and finally Christine Ockrent, French journalist and wife of the former governor of Kosovo Bernard Kouchner. From 2013, Ulrich Grillo, head of the Bundesverband der Deutschen Industrie (BDI), the German Federal Industry Union, demanded that 800,000 immigrant workers arrive on German soil in order to counter aging German demography and put downward pressure on wages. In the spring of 2015, Antonio Guterres, then UN High Commissioner for Refugees, suppressed humanitarian aid to the Syrians stationed in Turkey, which led to their migration to Europe via the Balkan route. Difficult to imagine that the decision of Guterres could be taken without the approval of the Turkish, American and German authorities. The Austrian Secret Service (Österreichischen Abwehramts) have raised this agreement. Antonio Guterres later became the new Secretary-General of the United Nations. Funded by several associations of Soros, humanitarians organized the reception of these Syrians, subsequently joined by Afghans and Iraqis (Sous nos yeux, Th. Meyssan, éd. Demie-Lune, Collection résistances 2017). Tens of thousands of migrants arrived in Germany and the flow continued. The reactions were not long in coming. Some German labor unions denounced the maneuver of their employers. The Hungarian government decided to erect a fence along the Serbian border to regulate the flow. At the same time, a German think-tank, the European Security Initiative (ESI), declared on September 17 and again on October 4, 2015, to be in favor of halting flows through an agreement between the EU and Turkey, but also by dispatching 500,000 additional Syrian refugees in the next 12 months. Beyond this limit, Turkey would have to take back the other migrants and would be able to obtain a visa waiver for all its nationals. On March 17 and 18, 2016, the European Council pledged EUR 3 billion annually to Turkey to assist it in its obligations, without any checks and abolish visas for Turkish citizens entrering the EU. Moreover, since the French national printing press had made the manufacture of Syrian passports until 2010 and had thus obtained plates skilfully preserved, the French authorities took advantage of this opportunity to send to Germany problematic Maghrebian and Lebanese by providing them with Syrian false passports (Sous nos yeux, Th. Meyssan, éd. Demie-Lune, Collection résistances 2017), which the German authorities soon discovered. In 2004, in New York, George Soros welcomed Gerald Knaus, Director of ESI to discuss the cooperation between their two organizations. It was then agreed that in the future the rapprochement between the two institutes would be deepened and that their collaboration would be expanded. 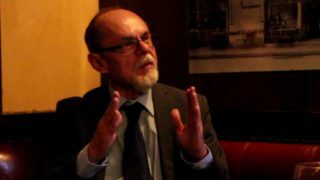 In addition, prior to founding the ESI, Gerald Knaus was an analyst on the Moscow branch of the Carnegie Foundation, specialized in EU enlargement issues, which could be the subject of a study on the origin of ESI funds. The links between the Carnegie Foundation, the Open Society and the ESI are in no way hidden and take place largely within the framework of the NED, a strategic tool of American diplomacy. It was in this context that the Carnegie Foundation condemned Hungary and Poland in an article of September 4, 2017. Recalling the ongoing sanctions procedures against Poland and Hungary on the basis of Article 7 of the Treaty of the EU (TEU), the authors of the article are quick to recall that this mechanism could only succeed if it does not require the unanimity of votes against a single Member State. Warsaw and Budapest have already assured themselves of their mutual support during a possible vote on this issue, the authors do not believe that this procedure is capable of solving the Hungarian-Polish problem. 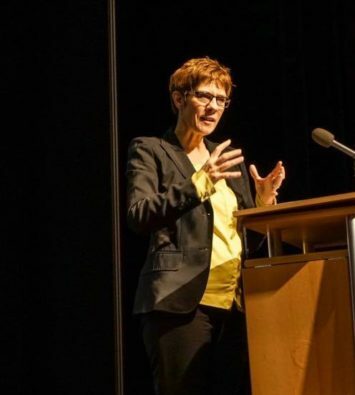 Heather Grabbe and Stefan Lehne therefore deplores the absence of a binding framework to sanction any deviation of a member state from the values ​​of the EU expressed since 1992. They point out that the legal framework provided for this purpose is minimal compared to that economic integration. They point out that, on the other hand, the EU must “respect the national identity of Member States”. According to the authors, the penalties provided for in Article 7 had been put in place in order to deal with extreme cases, including possible power grabs. As far as the current situation is concerned, it is completely ineffective. Faced with this impotence, the other Member States do not dare to go further in the implementation of new arrangements, essentially for four reasons according to the authors. In the first place, the authors advance the concept of “reflex of sovereignty”. 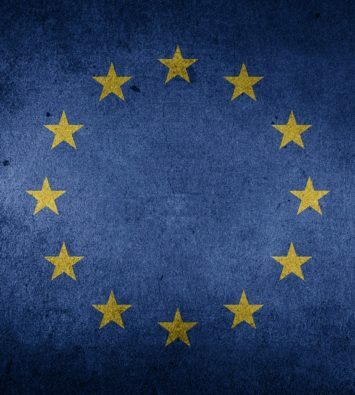 The authors bring some light on two different concept of the European integration: a federalist one, which is supported by the Benelux countries and Germany, and a more sovereignist one, defended by France, Denmark and the United Kingdom. The authors recall the specificity of the countries of Central and Eastern Europe, considering them to be very attached to their sovereignty they just recovered in the 1990s. Grabbe and Lehne note that the intensity of this reflex has only increased with the financial crisis of 2008 and most recently with the migrant crisis. Secondly, the authors argue that, since the life of the Union being above all consensual, a series of subgroups have gradually emerged, thereby undermining the functioning of the EU. The authors cite the Visegrad group, the Nordic members, the Benelux, the agricultural producers of the Mediterranean, the net beneficiaries of European funds, but also the grouping of political parties, such as the European People’s Party (EPP). This same EPP is very clearly in the focus of the authors, in that its inaction would have left Orban continue its authoritarian drift. Thirdly, the authors invoke the Glasshouse Syndrome to explain this inaction of the other Member States. According to Grabbe and Lehne, some states are afraid of creating a precedent by going further in condemning Hungary and Poland. According to them, no Member State is irreproachable in terms of respecting the values ​​of the Union. They point out that this is all the more true since the migratory and terrorist waves are leading all member states to tighten their legislation on public freedoms. Finally, the authors use the term “reverse deterrence” and explain that the article was conceived as a kind of “nuclear option”. If this weapon can dissuade, the failure of its implementation can on the other hand give reason to the concerned State and cause an “escalation of the nationalist sentiments against the EU”. The authors are convinced that external interference in national sovereignty can reinforce the authoritarian tendencies of a government. As a result, the EU is perfectly ‘inhibited’ in the face of such situations, which leave its actors with no answer, except to wait for a change of regime in these problematic countries. Grabbe and Lehne argue that these “procrastination strategies” are no longer tenable in the Hungarian and Polish cases. They accuse Hungary and Poland of having dismantled the rule of law and proclaim that the time when other states viewed these cases as “unpleasant domestic illiberalism” must be over. The authors urge the other member states to adopt “strong positions” against Hungary and Poland, accusing Fidesz and PiS of having seized several independent state institutions, thus preventing the implementation of the right of the Union in their respective countries. Grabbe and Lehne urged the Member States to stand behind the positions of the Commission and Parliament. The first one, under the leadership of Frans Timmermans, First Vice-President of the Commission and member of the Carnegie Council for Ethics in International Affairs, engaged proceedings against Poland following the reform of the Polish Constitutional Court. A similar procedure is also under way against Hungary following laws regarding NGOs receiving foreign funding. Carnegie is directly concerned by these laws, as is the Open Society and the ESI. The authors accuse the EPP members of being partly responsible for the envenoming of the Hungarian case. According to Grabbe and Lehne, the EPP waited too long until some of its members crossed the line by voting the resolution against the Hungarian government in the European Parliament in May. They explain that Poland will not be subject to the same kind of pressure, as the PiS is part of a smaller, less disciplined group, the European Conservatives and reformers. While the authors acknowledge that Orban’s first decisions on the media and public institutions were taken in accordance with the letter of EU law, but without following the spirit of the law, they regret that the Prime Minister has since a few months engaged in an upsurge in the denigration of Brussels with a view to his re-election in 2018. Thus, according to the authors, the stakes will become glaring for the EU in the months to come. To remedy this, they propose a number of positions to adopt and thus reveals very clearly their conception of the European construction. The authors of the article see a functional and normative interest in defending the values ​​of the EU. The consolidation of “an area of ​​freedom, security and justice” implies legal certainty, the prohibition of arbitrariness, the independence and impartiality of courts of justice and equality before the law. Deep integration implies a deep trust between the players in the area. They see, therefore, what is happening in Poland a factor that disturbs trust between the actors and a cause of “damage to the business environment in Europe”. The authors point out in this respect that, on the other hand, German companies have already expressed their dissatisfaction with certain “discrimination in front of Hungarian courts”. The Hungarian online media 444.hu, of liberal inspiration and often hostile to the Hungarian government, does acknowledge, in an article of September 6, that one of the aims of the authors of Carnegie is to argue that “where there is no rule of law, one can not do business “. In their article, Grabbe and Lehne never used the term popular sovereignty. There is no indication that they intend to take into account not the positions of the Commission and Parliament but the choices made by the European peoples in elections and referendums. In their conclusion, they oppose liberal values ​​to the rise of illiberalism and nationalism. They are concerned about the threat to European economic and political integration. While they recognize that member states are free to determine their constitutional order through national democratic processes, they affirm that the Union must set standards enabling citizens to move around and businesses to work without discrimination. Thus the business climate is placed, in their order of concern, far above the respect of democratic processes in the member states. All this is in line with the “market-friendly democracy” demanded by Angela Merkel since autumn 2011. Also the words of the current European Commission President Jean-Claude Juncker in 2015, according to which “it can be no democratic choice against the EU “, is reinforced. In addition, the Carnegie Foundation’s line fits perfectly with the American concept of democracy. If Abraham Lincoln sees in democracy “the government of the people, by the people and for the people“, the constitutional reality of the United States is quite different. In the United States, power is shared between the federated states and the people who can exercise legislative and judicial controls. The people vote for the composition of the Congress and choose certain judges. The Federated States choose the executive power which in turn elects the high magistrates. The Supreme Court in the Gore vs. Bush case in 2000 reiterated that the American people’s view in the choice of the president was merely advisory, as the ultimate decision rests with the federated states. Whereas the Constitution of the Russian Federation recognizes popular sovereignty in its letter by stating that “the bearer of sovereignty and the only source of power in the Russian Federation shall be its multinational people” (First Section, Ch. 1, article 3), there is no mention of popular sovereignty in the United States. Mrs Merkel and Mr Juncker are the heirs of this legal doctrine which leaves no room for popular sovereignty. The Carnegie foundation welcomed Mr. Macron’s recent statements, and it would seem that the latter was too. The Visegrad Group is today clearly in the sight of the European Union, particularly the Warsaw-Budapest axis. This group was founded on 15 February 1991 and aimed at orchestrating the conversion of Hungary, Poland and the former Czechoslovakia to the market economy and the Euro-Atlantic military complex. Viktor Orban, who had received a scholarship from the Soros Foundation and was later decorated by the Freedom award by the American Entreprise Institute, another pseudopod of the NED, was supported by the German and American authorities. The proximity of Vaclav Havel with the German and American services is now proven. In 200, Havel had even supported the candidacy of Madeleine Albright (back then State Secretary and leading the democratic branch of the NED) for the Presidency of Czechia. 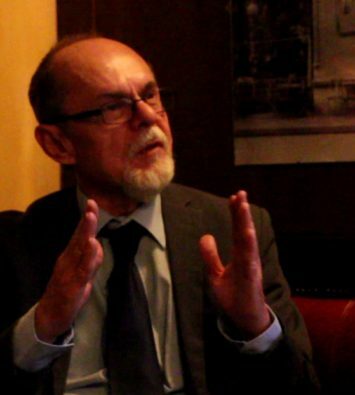 As far as Poland is concerned, the current president of the NED, in 2005 in front of a journalist from Libération, acknowledged that he contributed greatly to the establishment of the trade union Solidarnosc. The capture of these countries and their conversion to the market economy was registered in 1999 with their accession to NATO and in 2004 with their entry into the EU. For obvious strategic reasons, these countries have never ventured to turn their backs on US military strategy. Poland, for example, never forgets to send contingents of soldiers to the theaters of operations where American troops are engaged. In 1999, under the first cycle of Viktor Orban, the Hungarian authorities had been very actively involved in US military maneuvers at the border in preparation for the intervention in the Balkans. Since 2010 in Hungary and 2015 in Poland, the situation has changed radically. 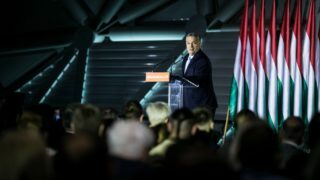 While the Hungarian and Polish governments remain fiercely attached to their NATO membership, their populations are nowhere near the enthusiasm aroused by their rapprochement with the Western powers in the early 1990s. Summoned to dismantle their industries to give way to foreign enterprises, particularly German ones, which sought cheap labor, the peoples of Central Europe now see their welcoming into the European club as a direct result of pure market logic. The Carnegie Foundation has well identified this awareness and, lest its European-born baby got out of control, reminds it to order, stressing that, in the end, the only law that counts is the one of the market.